Dr. Raven is a Board Certified Orthopaedic Surgeon with subspecialty fellowship training in Hand & Upper Extremity Surgery. He has a Certificate of Added Qualifications (CAQ) in both Surgery of the Hand and Orthopaedic Sports Medicine- one of only two surgeons in California with this distinction. Dr. Raven is a general partner of Orthopaedic Surgery Specialists, where his practice focuses on the management of musculoskeletal and neurovascular conditions of the shoulder, elbow, wrist and hand in children and adults. He is an Assistant Clinical Professor in the Department of Orthopaedic Surgery at the University of Southern California, Keck School of Medicine where he teaches residents anatomy and state-of-the-art surgical techniques. Surgeons throughout the greater Los Angeles area frequently refer patients to Dr. Raven to correct complications from failed surgeries. Dr. Raven was born and raised in San Jose, California. He completed his undergraduate education at the University of California, Irvine, where he studied molecular biology and biochemistry. Dr. Raven is a graduate of one of our country’s top medical schools, the University of California, San Francisco (UCSF). After graduating in the top of his class, he trained under leaders in the field of Orthopaedic trauma, hand surgery and reconstructive limb surgery, also at UCSF. Following residency, Dr. Raven traveled to Europe where he studied complex conditions of the wrist and hand at the ‘Institut Kaplan’ in Barcelona, Spain. After returning to the United States, Dr. Raven studied pediatric and congenital surgery of the upper limb at the Texas Scottish Rite Children’s Hospital in Dallas, Texas. 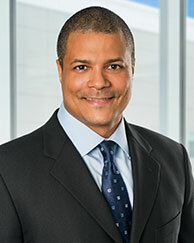 Dr. Raven completed his fellowship training in Manhattan at St. Luke’s-Roosevelt Hospital, Columbia College of Physicians and Surgeons, where he mastered state of the art techniques in Hand & Upper Extremity Surgery. Dr. Raven is a fellow of the American Academy of Orthopaedic Surgeons (AAOS) and an active member of both the American Society for Surgery of the Hand (ASSH) and the American Association for Hand Surgery (AAHS). Dr. Raven is a Diplomate of the American Board of Orthopaedic Surgery and has earned Added Qualifications in Surgery off the Hand and Orthopaedic Sports Medicine.